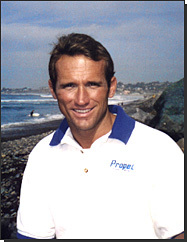 SPECWAROPS was founded in memory of Scott Helvenston (1965-2004), a U.S. Navy SEAL Team member of 12 years and BUD/S (Basic Underwater Demolition/SEAL training) Instructor at the Naval Special Warfare Center in Coronado, California. Scott Helvenston was born in 1965 in Ocala, Florida and raised in Leesburg, Fla. In 1982, he received special permission to join the U.S. Navy and, at 17, he became the youngest Navy SEAL in U.S. history. After graduating BUD/S, he deployed with SEAL Team Four, served for 2 years, and later moved to San Diego, California, where he deployed with SEAL Team One. Since his early years, Scott always excelled at physical fitness and athletics. As a result, he applied and became an instructor at BUD/S, leading PT (Physical Training) every morning for 4 years. With a fond memory for his airborne training, Scott later became an AFF (Accelerated Freefall) Instructor for 4 years until he was medically discharged from the Navy in 1994 for back, wrist, and ankle injuries due to a partially collapsed canopy malfunction. With high aspirations, Scott recovered, resumed his fitness regimen, and became an actor and stuntman in Hollywood. 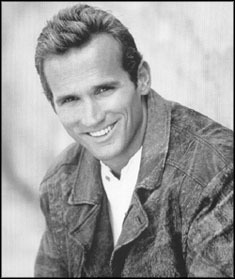 His many credits include “The Rock”, “Face-Off”, and “G.I. Jane.” Scott was the man who got Demi Moore into that incredible physical shape for the film. In 1997, Scott founded Amphibian Athletics, a Navy SEAL Training and fitness company with the goal of teaching people the skills to excel in outdoor activities, and life, in general. 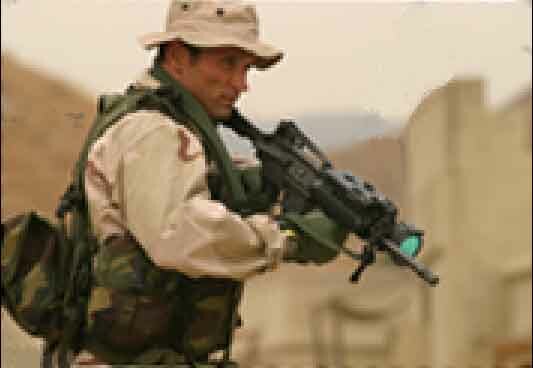 His Navy SEAL Training Camps became quite popular and frequently were spotlighted on television and in the newspaper. Due to the success of the training camps, Scott drew from his PT background and designed a video workout series, allowing greater access to his fitness education. With 11 videos to his credit, Scott became quite well known in the fitness world. In 2003, after the United States led a coalition to remove Saddam Hussein from power, Paul Bremer was named the head of the Provisional Coalition Authority. With a demand for experienced operators in Iraq, Scott was asked to join the security team tasked with protecting Ambassador Bremer. After heading back East to sharpen all his combat skills, Scott deployed to Iraq. Then, on March 31, 2004, the news returned to the States that Scott was one of four American contactors who were ambushed, brutally murdered, and set aflame in Fallujah, Iraq, while an angry Iraqi mob cheered on live TV. Scott left behind two young children. 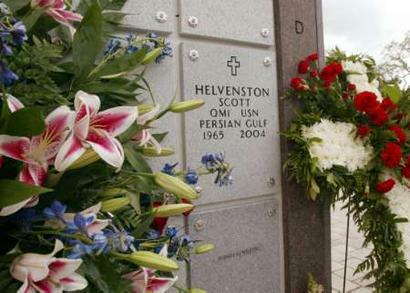 In a short amount of time, Scott Helvenston accomplished many goals that we can all admire. In addition to his success as a Navy SEAL, he was a two-time, gold medal-winner in the pentathlon, and to this day, Scott remains the only human contestant on the popular TV program “Man against the Beast” to win, racing against three different chimpanzees on an obstacle course. Scott also represented the Navy SEAL Teams on the television program “Combat Missions.” He always seemed to be the last man standing. After Scott's death, some of the instructors at his Navy SEAL Training Camp, and members of the Navy SEAL Teams and special operations community, decided to carry on his legacy and continue the work he started. SPECWAROPS is a direct result. We continue to hold ourselves to the same high standards that were set for us by our good friend, Scott Helvenston. 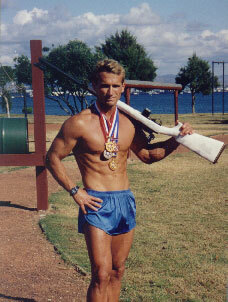 To find out more about Scott Helvenston or his many fitness videos and products, you can visit SEALtraining.com.